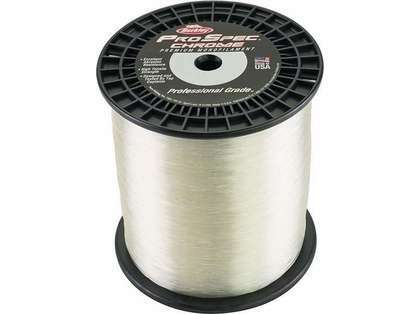 Home > Freshwater Fishing Tackle > Freshwater Fishing Line & Leader > Berkley Fishing Line > Berkley ProSpec Chrome Monofilament > Berkley ProSpec Chrome - 5 lb. 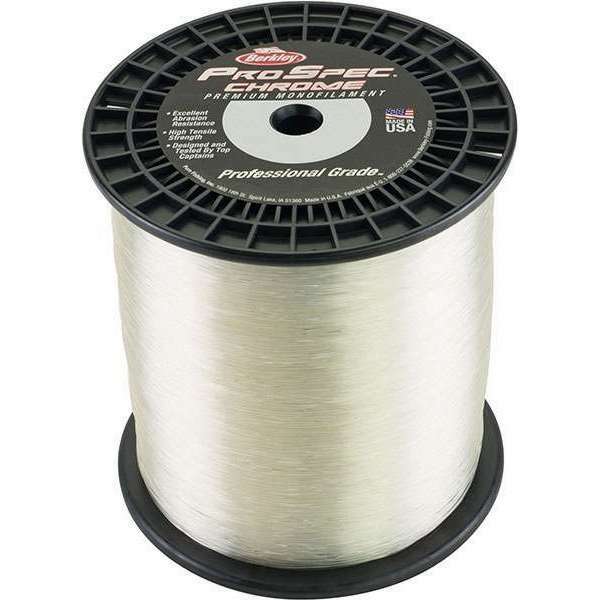 Spool - Clear > Berkley ProSpec Chrome - 5 lb. Spool - Clear 130 lb. / 2000 yd. PSC5 C 130 lb. / 2000 yd. Great line. Have been using this line for about a year and a half now. It does a good job. I use the 40 lb test in Blaze Orange for my shock leaders for chunking 8 oz of weight with a nice chunk of bait. No issues with it while fishing non stop during the drum season. It is a very bright color, so if you are looking for visibility, this is the line for you. I know a lot of people that use the 17 to 20 lb test in blaze orange as a main line. They love the way it performs and it brings in big fish. Great line for the price packs on reels nice and cast great. 30 pound gets the job done on anything in the LI sound.